Lithuania will appear for the first time in the Europe / Africa group zone I to face Poland. The meeting will take place in Orlen Arena, Plock, Poland, and will start this Friday (March 5th – 7th). It will be the second time that the nations are meeting in tennis court. The previous occasion was 20 years ago when Poland won. 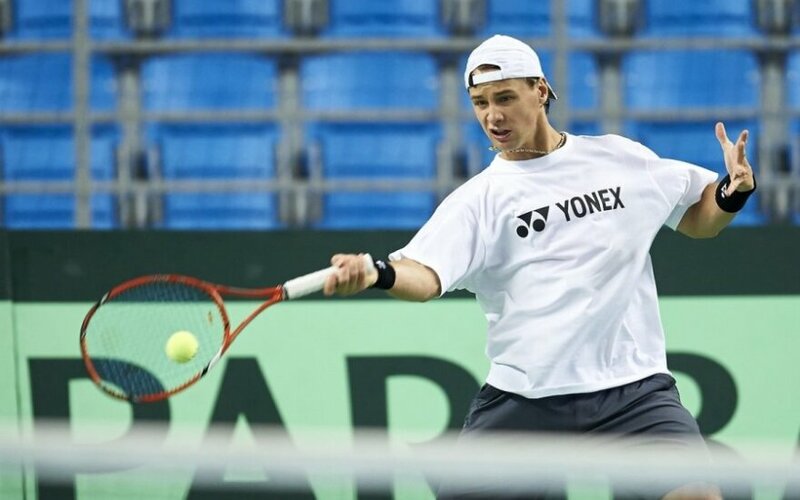 The Lithuanian team will be led by Ričardas Berankis who is currently number 76 in world rankings. The team will also include second-best Lithuanian tennis player Laurynas Grigelis, who is 361 in the world, 21-year-old Lukas Mugevičius, 642nd in world rankings, and unranked Mantas Bugalaiskis. In the Polish team, the main player will be Jerzy Janowicz, who is number 51 in the world. The tema will also include Lukasz Kubot, who had long been in the top 100, but is now in the 163rd position, 351st player Kamil Majchrzak and Marcin Matkowski, who is not ranked in singles but is number 21 in the doubles rankings. The match will undoubtedly be tough for the Lithuanian team. Poland played in this group in a previous year and hoped to qualify for the World Group, but after beating Russia in the first round they lost to Croatia 3-1. Now they want to complete the mission that they started one year ago, while Lithuania will try to prevent it and protect its prospects for the World Group.